Here's a dungeon I drew up for my wife, the performer and storyteller over lunch after one of her performances. I'm not very creatively inspired this morning, so maybe this will pick me up. 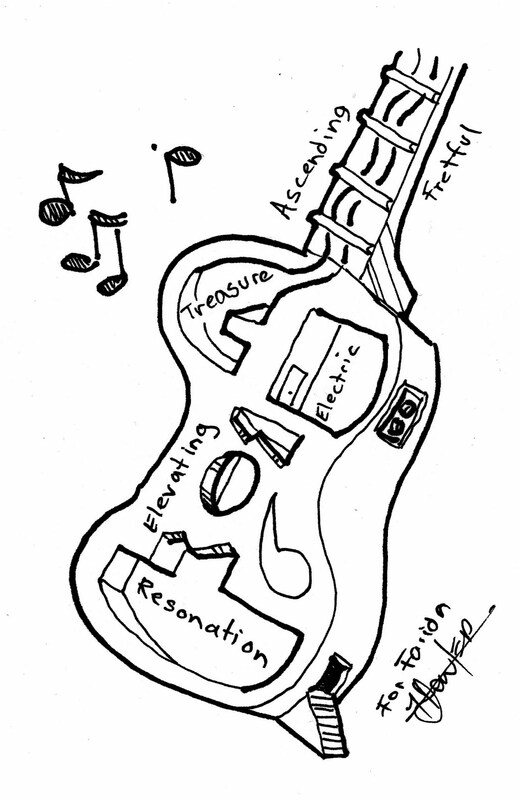 It does make me think of the possibilities of dungeons as resonating chambers, sound-based magic, and climbing around inside a giant guitar. 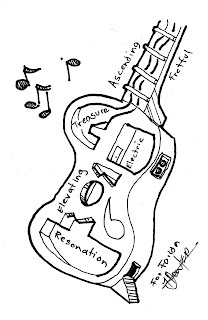 Come to think of it, I've been told that the design for Seattle's Experience Music Project was inspired by the interior construction of a guitar. This would make a fantastic villain's lair for a silver age Batman-style superhero game. The Arpeggio Assassin chord-ially invites the heroes to rescue the mayor's daughter.